You were approved for your loan, you found the perfect house, and the seller accepted your offer. Now, all there’s left to do is move. 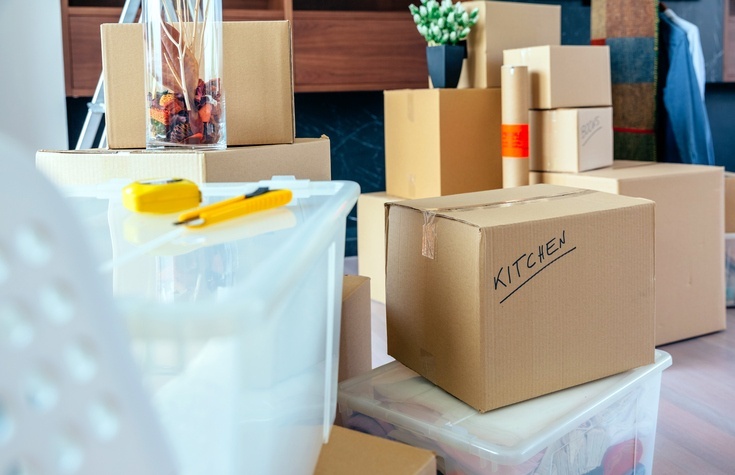 While this can be a stressful experience, there are some things that you can do to help both save money and stress during the moving process. Why pay to move items that you don’t really need? As you start packing, set aside items that can be thrown away or donated. The more stuff you are able to get rid of, the less you’ll have to pack and pay to transport. Before selecting a mover, do you research and make sure you select a reputable company. You don’t want to end up with a company that won’t do a great job, potentially costing you in damages. Use resources such as the Better Business Bureau or Yelp to look at reviews. Many movers offer transportation options only. This means that you are responsible for loading and unloading the truck but they’ll get it from Point A to Point B. This is a great option for people who don’t mind doing some heavy lifting but don’t want to drive a large truck. The better you pack, the less likely you are to lose items that you'll have to replace during the move. Some of your more expensive items may require special packaging, so do a quick inventory before you start packing so you’re not caught unprepared on moving day. It can sometimes be a little less expensive to move on a weekday or during the off-season. Just be aware if you will be depending on friends or family to help you during the move, it may be more difficult for them to take a work/school day off.